Do you know how to spot a fake antique? Joy gives some clues to help! I thought you may be interested in my random thoughts about my passion for anything antique. Google is loaded with information about antiques and collectables. I use it all the time. However, it is not so easy to describe the mistakes I have made or the fakes which intermittently hit the market. Where do you find Antiques? Just Google - there is plenty of advice and tips but really it is a matter of developing your taste with a real hunting instinct. The traditional antique dealer looks for about five things. Early silver, perhaps Victorian jewellery, or English china. Then fountain pens, badges or perhaps penknives. To specialize is good but browsing in charity shops, boot fairs, antique centres and auction rooms (remember the commission charges) and that will be the beginning of a lifetime interest. One tip, never buy damaged items and try to go for quality and/or quirky! Are Antiques a good investment? Maybe, but fashion changes. Maybe, but prices fluctuate. Maybe, if you are clever. Best to stick to the simple pleasure of collecting! Quality, quality, quality. Craftsmanship and style. Pick your period and follow your taste. Modern silver designers, studio pottery and woodblock prints come to mind. Vintage clothes are popular I believe. I love 1970's design.The choices are endless. Why is music, art and theatre important? Anything beautiful, and pleasing to the eye makes life enjoyable. However, I think the most important reason is history and nostalgia. Visiting a historic house or building draws you back in time, imagine the lives of the people using these objects and fascination takes over. Craftsmanship is timeless. Interest really just develops, enjoying handling and researching. Cherished items enhance your home and antique items open new worlds and past lives. Spotting fakes or a reproduction comes easier the more items you view and handle. The Chinese are very clever with copying and flood the market with attractive items which have little value, signatures on paintings are not always truthful and netsukes (Google!) were more probably made last week! Reading, researching and exploring the very best helps develop a good eye. My eyes were opened when I visited the wonderful museums in Florence. Here were the very best and beautiful paintings, sculpture, micro mosaics, gold and silver work. I can remember outstanding errors of judgement. The early Georgian silver tea set just had to be purchased. I was convinced I could make a profit but I had to learn the hard way that everything has a true value. 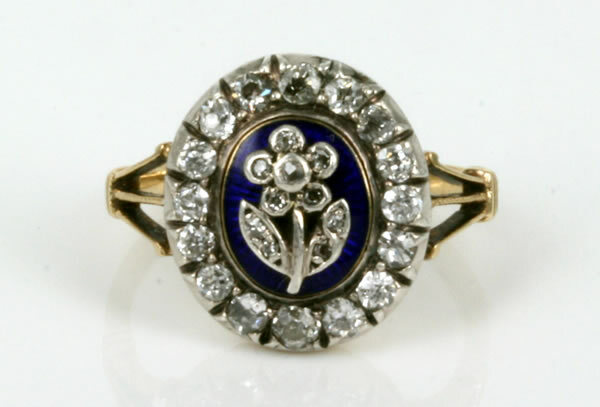 A diamond ring bought with great excitement but which had too much carbon in the diamond to appeal to the more experienced trade. The upside memories are a shed full (literally) of "findings"
For a few pounds. It provided a great interest to my stall for 16 months, with a very comfortable profit! A Poole Pottery dish by Tony Morrison found in a random box of China. Such excitements. 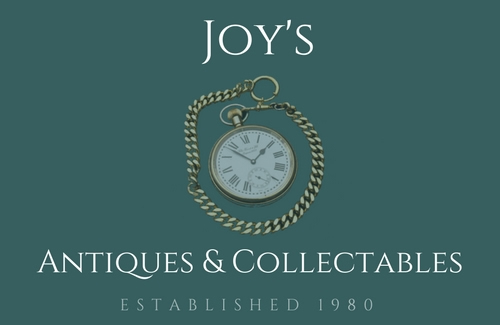 Joy O'meara has been running JayFairs for over thirty years and has a wealth of knowledge and experience in the Antique market. She is particularly interested in Silver, Victorian Jewellery, Antique Costume Jewellery, Fountain Pens, Oriental Items, Militaria, Vintage Textiles.